It’s getting really cold here in the UK. Sometimes it’s very cold that I just want to stay in my room and not leave the house at all. But you know, it’s that time of the year, and that means Christmas holiday is very close. We break next Friday and a lot of the societies here at Surrey are holding their Christmas events, so I thought I’d write something about my experience with societies in general in my time here. In my two years and a half here, I have been majorly involved with mainly 2 societies, and some other ones that I went to their events. The two societies I was part of were the Surrey Islamic Society (I’ve mentioned this one before I believe) and TEDxSurreyUniversity Society, where I was a committee member on both. Others include Photo Society, Arabic Society, and Star Wars Society (yes, you read that right). I’ll give you a glimpse of how it was being involved in those societies as a regular member and as a committee member with more responsibilities. ISOC was a very big part of making my social life bloom here at Surrey. It’s exciting to meet new people from different backgrounds when living abroad, but there is always a comfort and a sense of familiarity when you spend time with people who share the same values as you. Through ISOC I met a lot of Muslim students, some of whom are UK students and some International, and I just thought I’d talk about its because when I first applied here, one of my parents’ concerns was me not fitting in as a Muslim student in a foreign land. 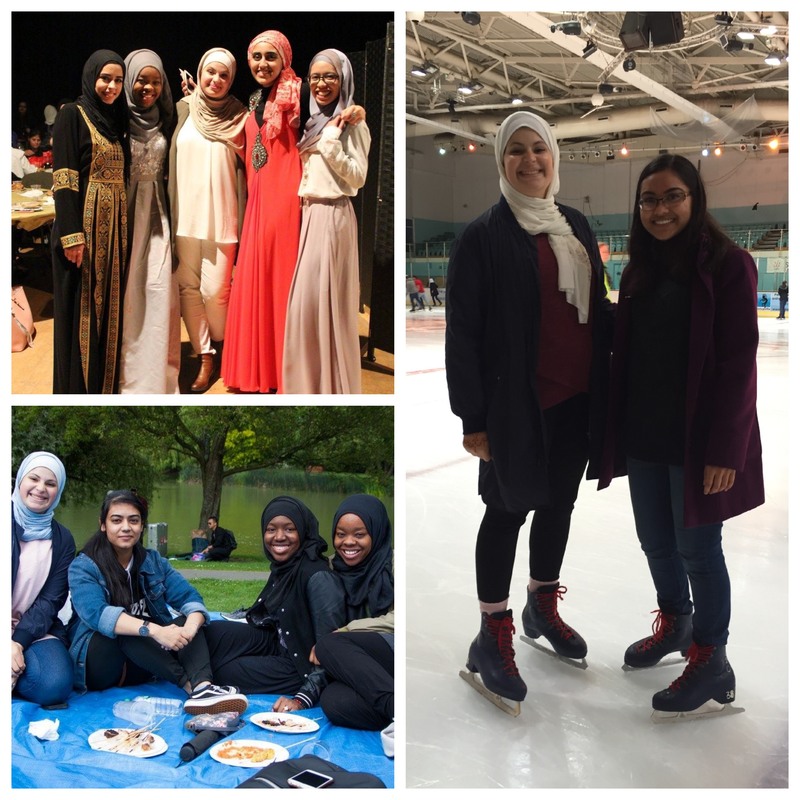 I was happy to find out that not only is there a big pool of Muslim student studying here at Surrey, but also that the university provided support for the big society as well. For example, Friday prayers are held regularly here on campus, we have a private prayer room to pray during the day, and during the month of Ramadan everyone gathers and we have free Iftar together and then they hold Taraweeh prayers as well. But it wasn’t just that that made me want to contribute more to the society. They held events and activities that made meeting new people and having fun really easy for me. Every year they do group activities like ice skating, bowling, barbecues, and fun dinner nights out. But one of the major events I got to participate in was Charity Week. You can google ‘Surrey Charity Week’ and check out how much money we raised in a week! There’s a funny story on how I ended up being on the TEDxSurreyUniversity committee even when I didn’t even know it existed in my first year. I went into the AGM with my friend Sofia who was running for a committee position (an AGM is an annual meeting where committee members for next year’s committee are elected) and surprisingly, there was nobody running for the position of marketing officer. Since the role needed someone experienced in graphic design and computers, Sofia ‘pushed me’ into running even though I had no intention of doing that. I ended up being on the committee and it turned out to be one of the greatest experiences I had here at Surrey. 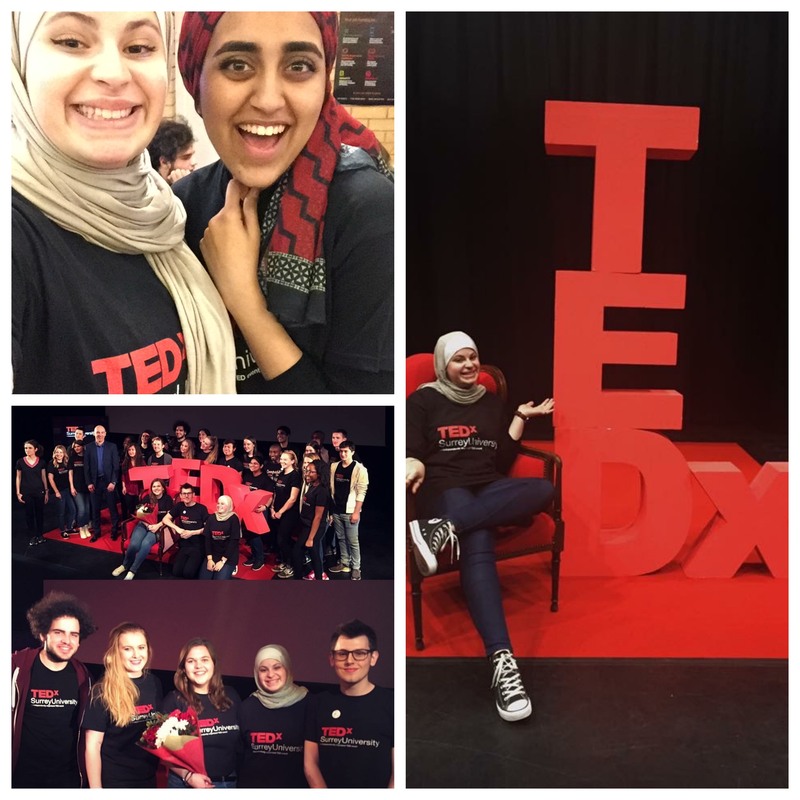 The TEDxSurreyUniversity Society hold TED events, some lead by student speakers and some lead by actual speakers, as well as salon events where a bunch of people get together and discuss a chosen TED Talk video regarding a certain topic. I’ve always been a fan of TED, and being in the background of a big event was just really fun. I was responsible for making visual material like flyers and posters, as well as filming the events. I was a member of PhotoSoc in my first year and went to almost all of their events except the day trip. It is such a great society for photography enthusiasts such as myself, especially that they welcome people from all levels of expertise. What they basically did was hold mini-lectures about certain tips for photography, as well as organizing photo walks and chances to practice photography. 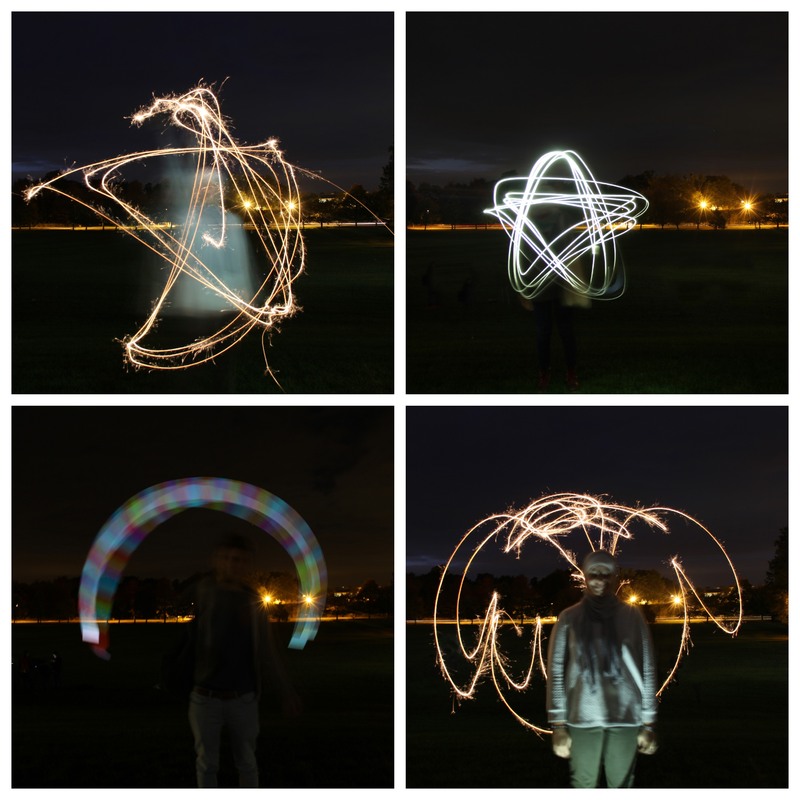 My favorite one was light painting at night with long exposure. Sooooo yeah that’s a general take on my experience with societies at university. I hope you enjoyed this week’s blog, and I’ll see you next week with a new one! !